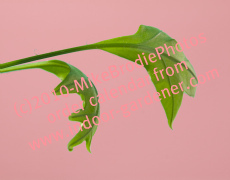 Both garden figurines and animal garden sculpture - and similar objects - make great gifts for the Indoor Gardener, if they're scaled down in size. 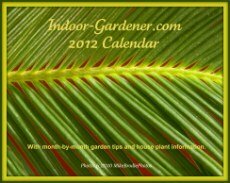 Small figurines make perfect indoor gardening gifts for friends and family who grow houseplants. If they have favorite animals, decorate with a period theme, or have hobbies and interests, you'll be able to find something they'll like that they can add to their planters. Most nurseries and garden shops carry a good assortment of figurines and small animal sculptures, but you'll also come across good finds at craft fairs and stores, consignment and antique shops, and, of course, on the Internet. I've found some of my own favorites at outdoor bird house boutiques and even toy stores. 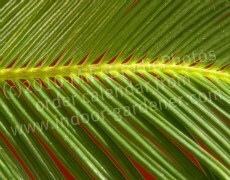 Just be sure they can withstand the watering and misting that happens when they live with houseplants. 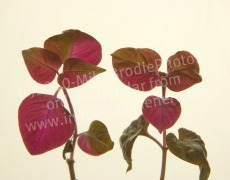 Here are two of my favorite indoor garden figurines (they're good for outdoors, too), both from Wind and Weather. Click on the image to learn more and to place your order. Just remember scale - one of those Honey-I-Shrunk-the-Garden-Sculpture machines would come in handy now! Of course, if you live in a house large enough to have a dedicated plant conservatory, you'll have an endless selection of garden figurines. Just one website listed over 300,000 items! 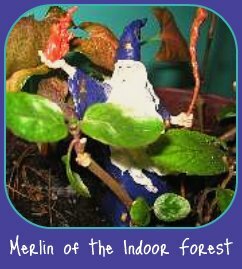 Match sculpture design to the style of your indoor garden - Classical poses for a Victorian garden, or even a collection of faeries, gnomes, and mischievous elves. 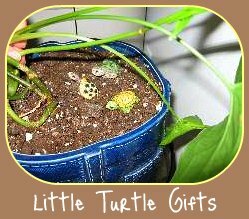 Plant containers can be home to miniature and small animal garden sculptures - such as a collection of small turtles - or any sort of small-size statue that you'd like to use to decorate an indoor garden. 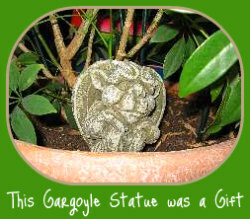 I have a gargoyle sitting in one planter and a smiling china Buddha waiting for my first foray into Bonsai. You don't have to limit yourself to planters either. 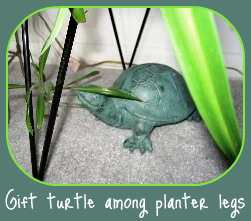 You can choose a garden figurine or an animal garden sculpture that will decorate the area around houseplants, such as my larger turtle who sits among the legs of planter stands. 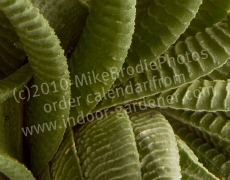 As in buying any gift, the more you know about the Indoor Gardener's other interests, the more they'll appreciate your gift. 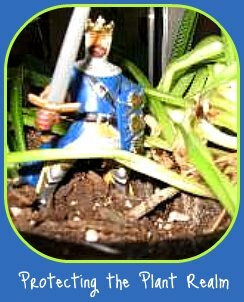 I love reading Sword and Sorcery stories: the Merlin and Knight figurines a friend found for me get a smile every time I pass their planter homes.